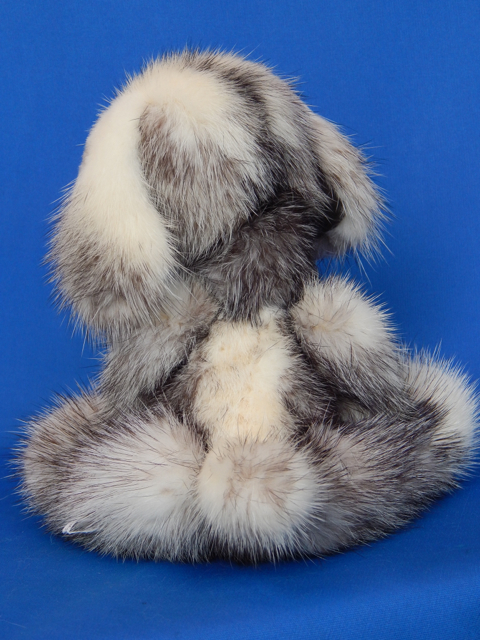 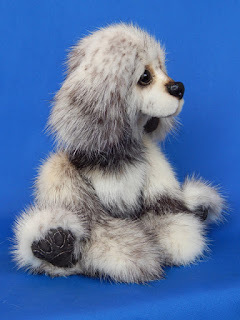 This is a larger version of my original dog pattern that was intended as a companion to my teddy bears (so it was smaller). This puppy sits 8 inches (stands 10 inches). This dog as 6 joints including a double jointed neck. 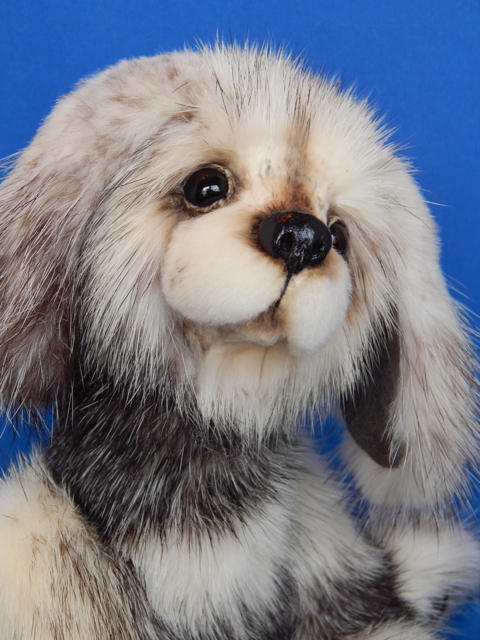 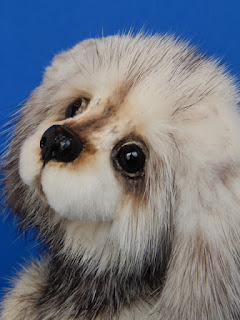 It also has glass eyes and I included something new on this puppy... eyelids. 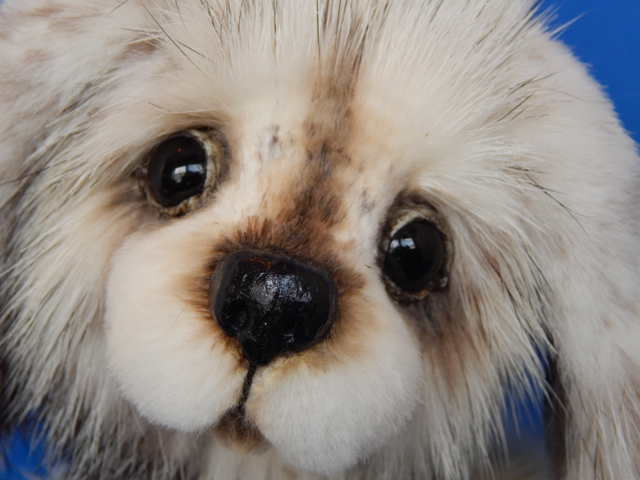 The nose is embroidered, waxed, sculpted and sealed. 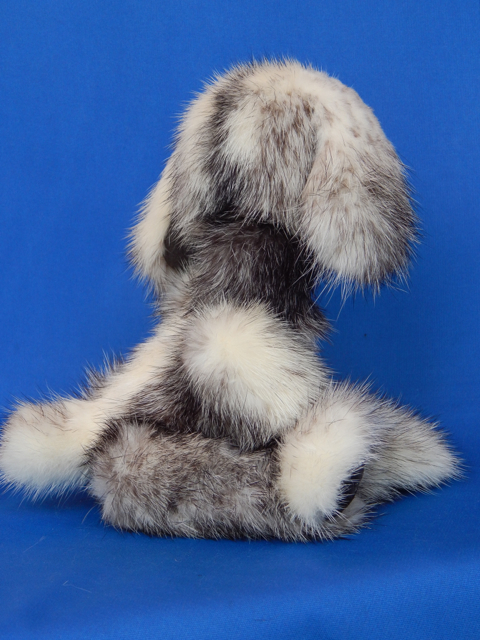 The paw pads are trapunto ultrasuede. 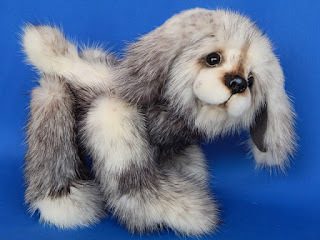 The limbs have wire armature for gentle posing. 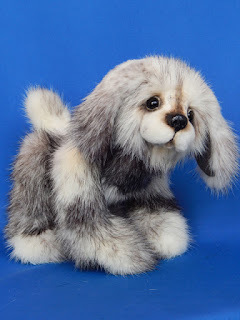 I am very very happy with this puppy and I hope Laura will be too! 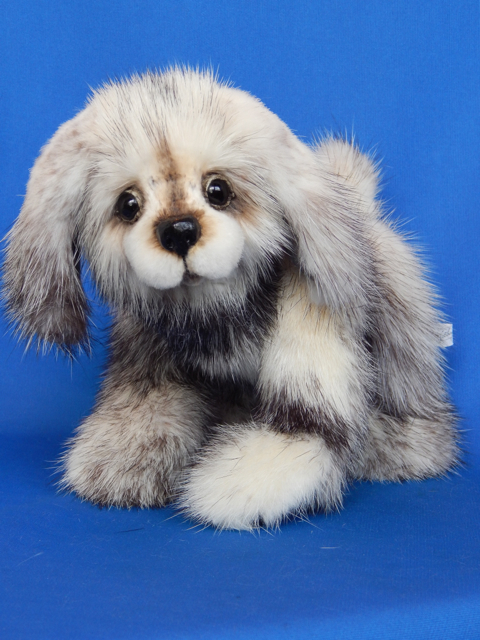 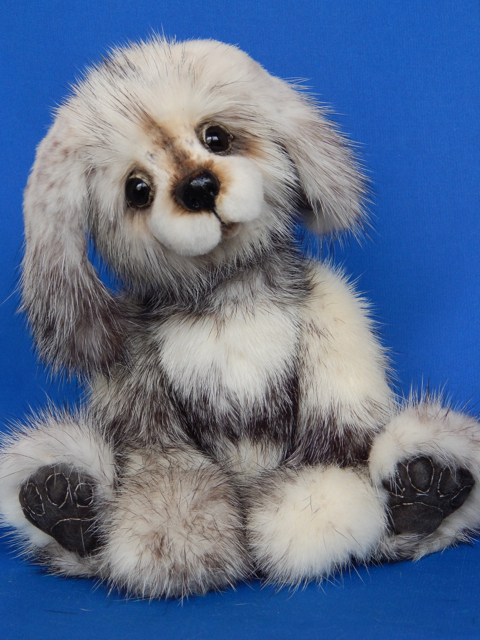 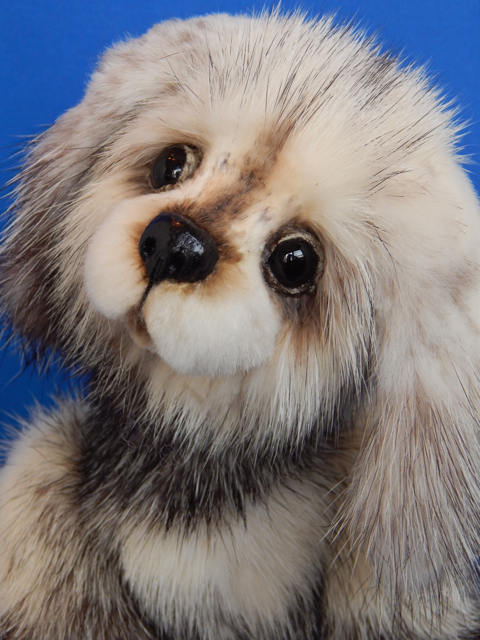 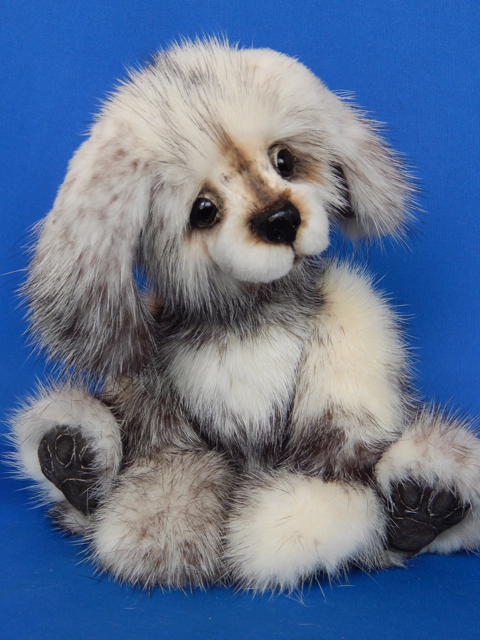 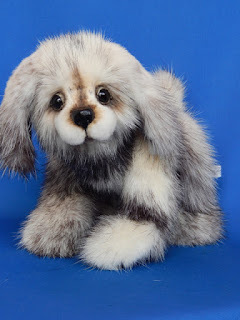 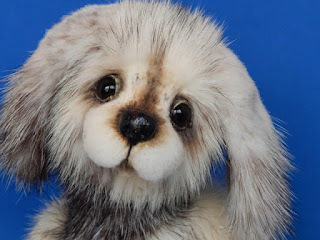 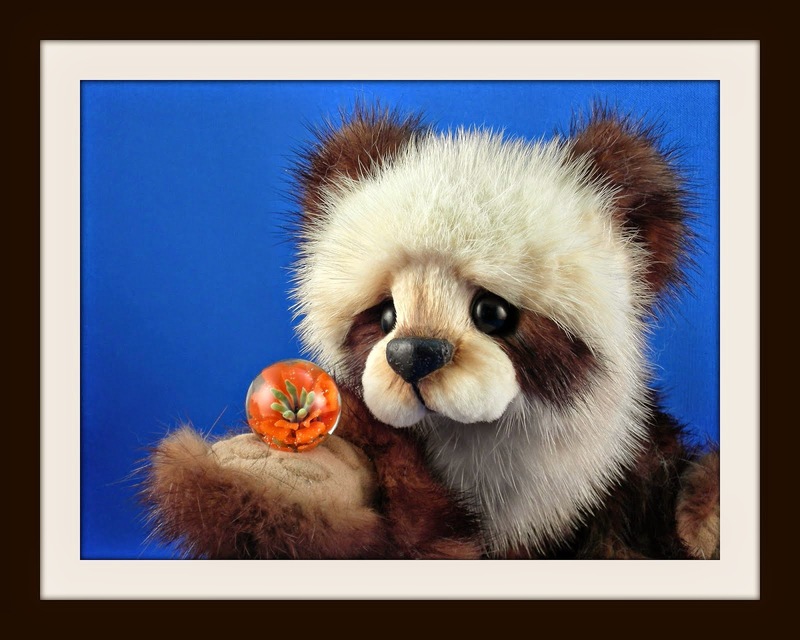 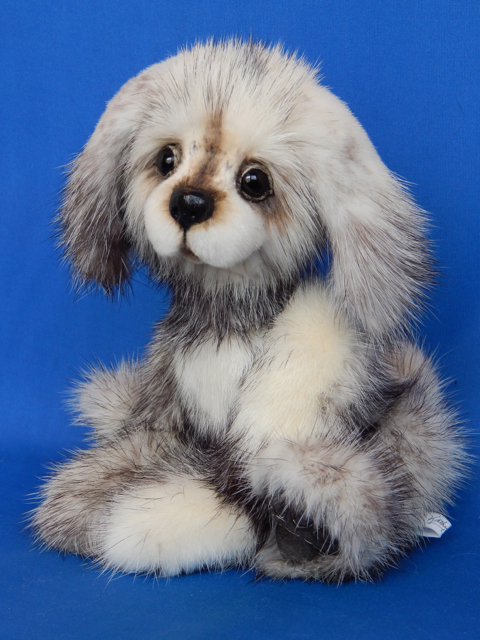 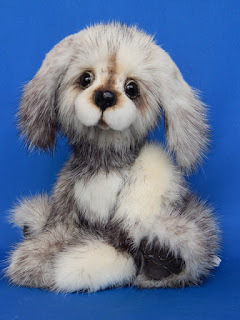 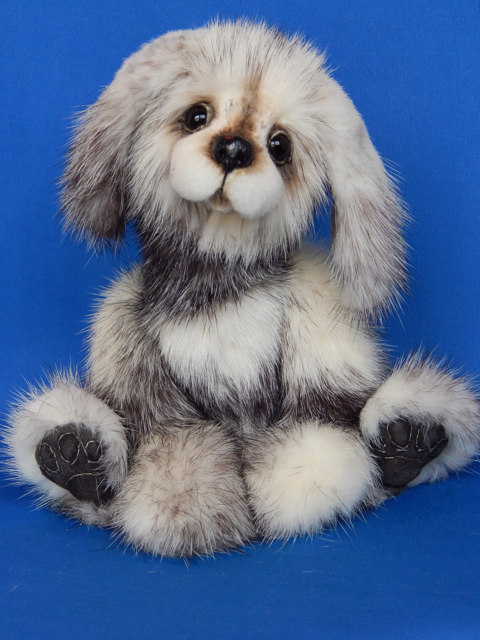 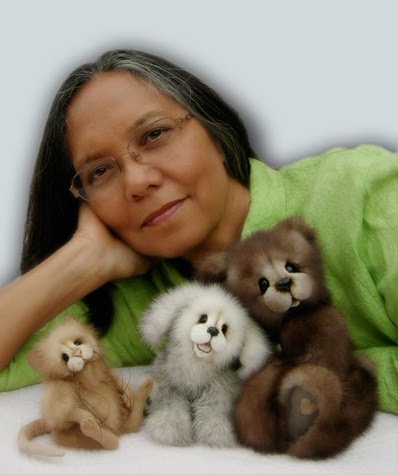 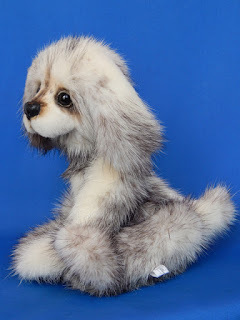 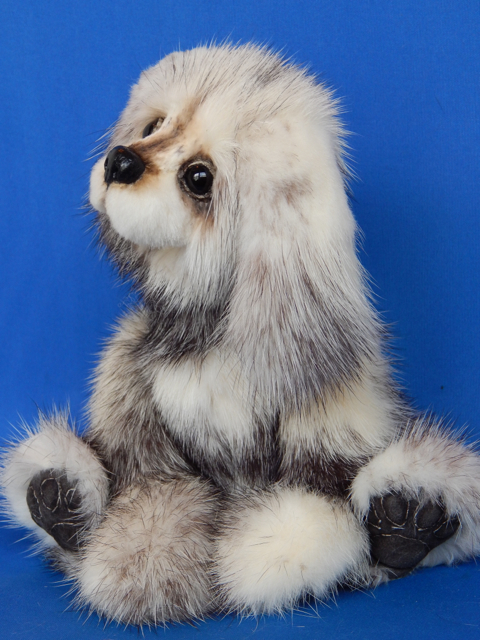 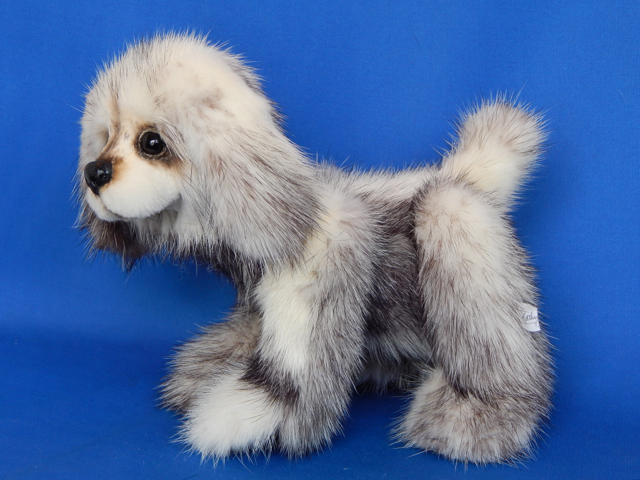 Laura has named her puppy "Pepper"
This concludes Laura's 3 animal custom order that she waited so very long for. 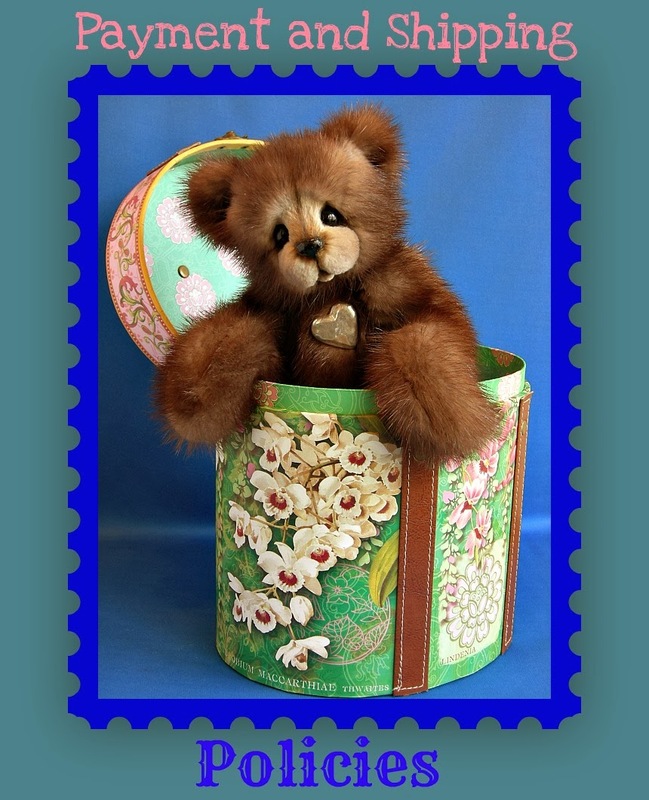 Thank you, Laura, for your patience!